Windmont Park, located at 349 Beach St. South, offers a wide variety of activities and facilities. You’ll find a softball field, 2 regulation tennis courts and 2 full playgrounds. 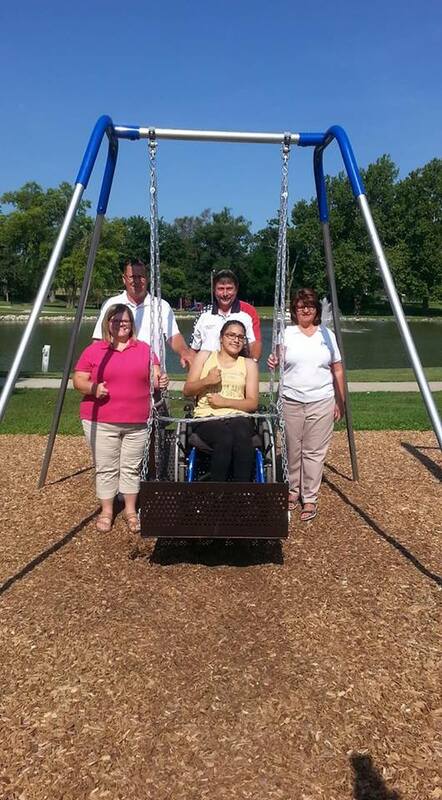 New to the playgrounds in 2018 are a wheelchair accessible swing and a generation swing both donated to the park by the Kewanee Elk’s Club. 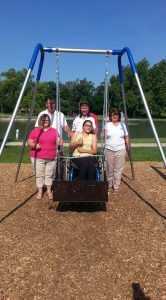 Thank you to the Elk’s Club for working with the Kewanee Park District to help make the parks a fun place for everyone to enjoy! 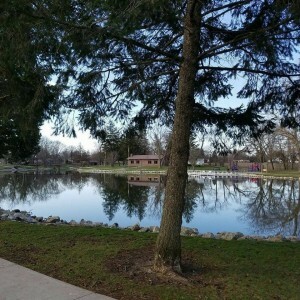 In addition to the amenities above, there is a walking path with extra walking/workout stations that surrounds the pond to help get a good cardiovascular workout in. Visitors can also just enjoy the wonderful view on one of the many benches or swings surrounding the pond. For you anglers, enjoy fishing at the pond and off of the newly built dock. State of Illinois fishing regulations apply. 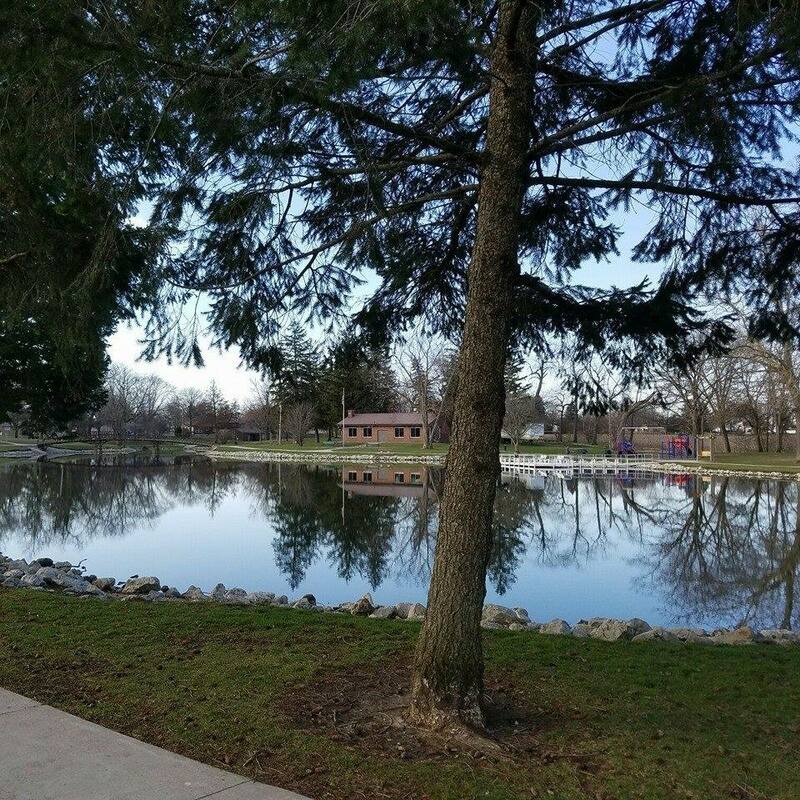 This video was submitted to the Kewanee Park District by Hayden Baldwin. Thank you Hayden for the beautiful footage. We also provide rental facilities; 3 open Pagodas and one Shelter House. All rental facilities are on a first come, first serve basis. For more information on renting a facility, please visit the Shelter House link. Each leaf on the Memorial Tree is $50. We will engrave the name you specify. 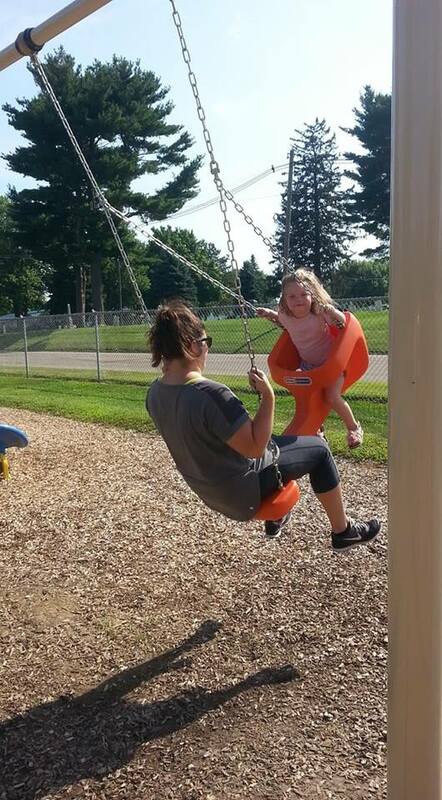 Please contact the Kewanee Park District Office at 309-852-2872 for more information. 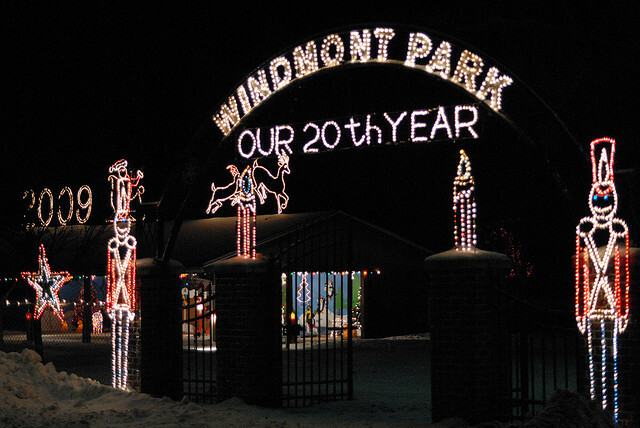 The Annual Lighting of Windmont Park will be held on Sunday December 9, 2018. The night’s festivities will begin with the 12th Annual Lighted Christmas Parade beginning at 5:00pm including a special visit from Santa. 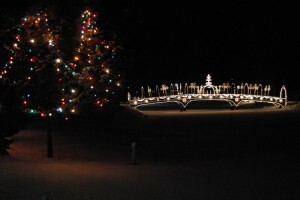 This year for the first time, Northeast Park will also be decorated for the season. An additional group of volunteers has stepped forward to light up another park. Displays at Northeast Park can be enjoyed by either walking through the park or driving through. (Please keep in mind that Northeast Park is a one way with the entrance being at the south end of the park). All of the time and decorations to make Windmont and Northeast so beautiful each Christmas season are donated by local citizens and businesses. We would like to take this opportunity to thank them all for their hard work and dedication to this huge project each winter. Those volunteers allow the citizens of Kewanee and surrounding towns to enjoy not only the lighting displays but the spirit of what the Christmas season is… Good will and Peace toward men. I was wondering if the Easter Egg Hunt at Windmont is canceled due to rain, where will the information be posted? If the Easter Egg Hunt should happen to be canceled, notice will be posted on our Facebook page. Yes it is allowed to have a wedding ceremony at Windmont Park. However, we do not reserve the entire park or shut it down, which means that there may be people in the park who are not associated with the wedding. We reserve the Shelter House and the open Pagodas(3 separate) from 8am-10pm on the particular day you request. The Shelter House is $80 for the day and the open Pagodas are $40 each for the day. We begin to take reservations for next year’s season on our first open day of the new year (Jan. 3, 2017). You are not required to reserve the Shelter House or a Pagoda in order to have your wedding at Windmont nor do we charge for someone to hold a wedding there. If you have any other questions, please do not hesitate to contact us at 309-852-2872. Thank you and congratulations on the upcoming wedding! 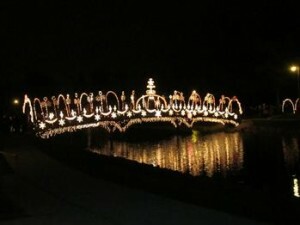 Are there going to be lights this year? Yes there will be lights at Windmont Park again this year. 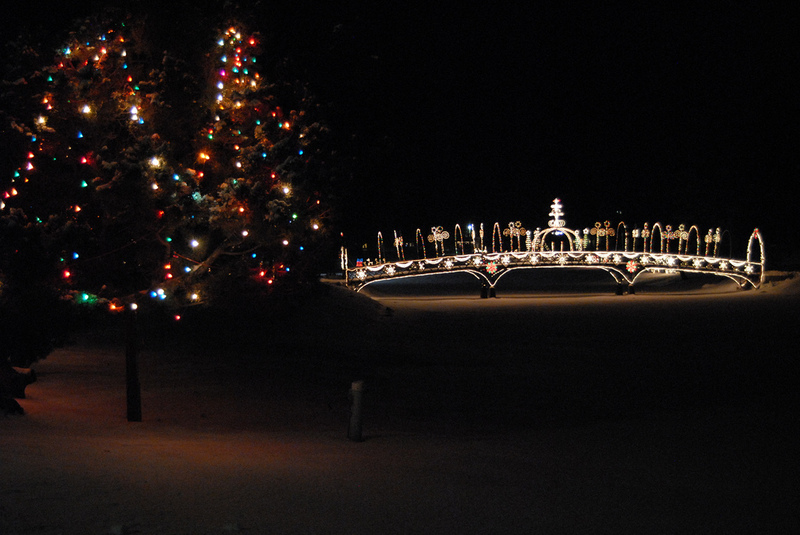 The lighting will take place on Sunday December 3 beginning with the lighted parade at 5pm. New this year, there will also be lighting displays at Northeast Park. 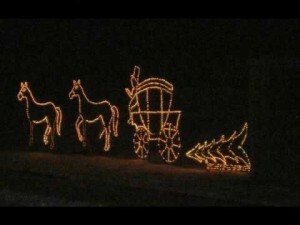 Is there going to be lighting of Windmont this year with a parade? Yes, the annual lighted Christmas parade and lighting of Windmont and Northeast parks will be Sunday December 9, with the parade starting at 5 p.m.
Will the park Christmas lights be turned on before the 9th? We are from out of town and were planning to come drive through the parks on the 8th. 9th after the parade and fireworks.